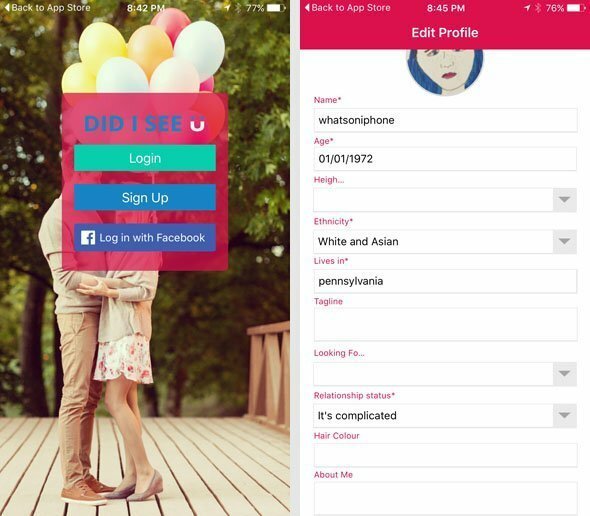 Location Based Dating App 'Did I See U' Brings Dating Back To Real Life! 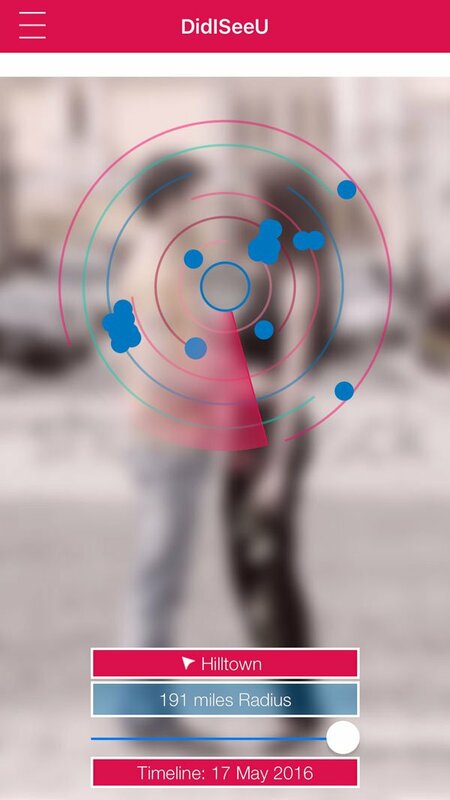 Location Based Dating App ‘Did I See U’ Brings Dating Back To Real Life! One of the things about dating apps is everything is virtual and real connections don’t always happen. 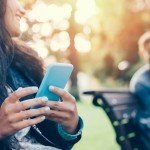 There are lots of people looking and playing a role in the dating app world but few real connections are truly made. 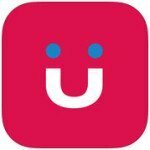 Did I See U brings dating back to real life connections with its location based app. Download and sign up for Did I See U for free using either your email or Facebook information. 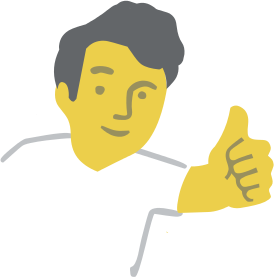 When signing up you will be asked a series of questions in order to allow others to get to know you better. You can be as open as you wish, but some questions are mandatory. The best part of Did I See U allows you to check nearby users and users you were close to -no matter where you were. The catch here is that there needs to be more people on the app in order to make this work. Going to the menu and choosing DidISeeU will show you users who were in the same vicinity as you were that day. You can adjust the radius to narrow down results or increase the radius to see more profiles in the area. Selecting Users Nearby is simply that – find users near your current location. As you see profiles that interest you, like them or message them. Set up a date, or walk a few feet over to where they are standing and introduce yourself! All in all, Did I See U is the answer to everyone’s dating needs. 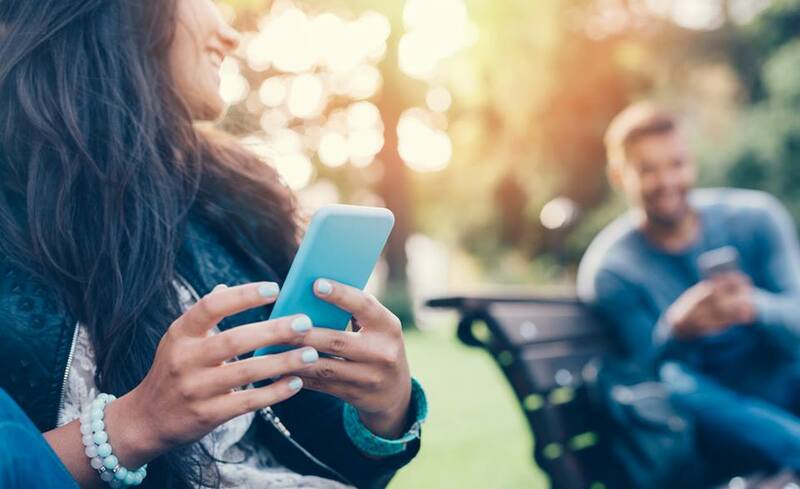 As with any online or app dating, please take precautions and ensure you meet in public for the first time and let others know where you are going. A word of warning, because this is a location based app leaving the app running in the background will drain more battery than normal. This is not a Did I See U only type of thing, any app that uses your location will be a quick drain. Overall, Did I See U has a great potential to be a big thing. The problem is that more people need to get on it! I live in a fairly metropolitan suburb and increased my radius to almost 200 miles and only came up with about two dozen profiles. 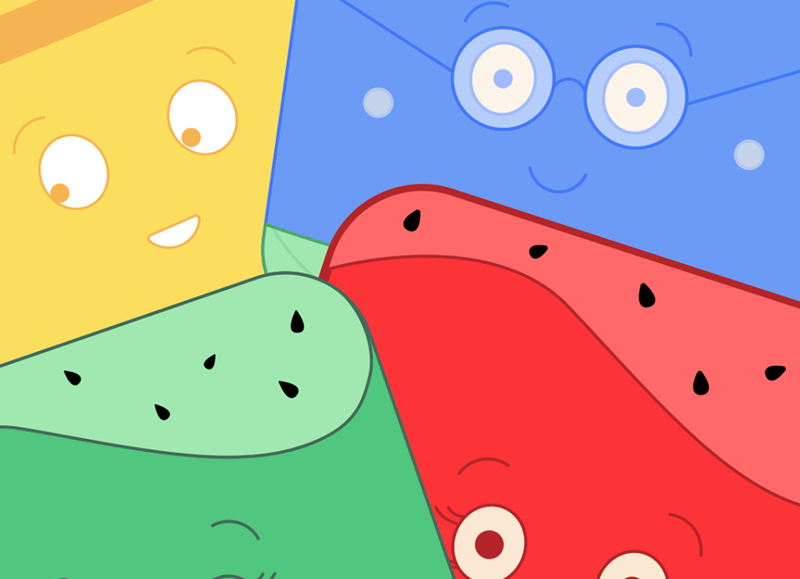 The app caters to all relationship statuses, sexual preferences, and types of relationships. Learn more at Did I See U official website. Would I Buy Again:If I ever became single, this app would be awesome to have! Who Is It For:Anyone looking to meet people with similar interests near them -at any time. What I Like:The ability to find people at events or places that I frequent. What I Don't Like:The lack of users in my area. Final Statement:Did I See U is a new and innovative twist on dating apps that bring dating back to real life in real time. Are you looking for someone hot to flirt and date with tonight? Meet singles in your nearby location, connect with them as a friend and arrange a meeting instantly. Did I See U is a location based dating and flirting app offering users a real time dating platform, where users can track others, they have passed whilst out and about in real life, to ensure you never miss a dating opportunity again. Whether you're on a train, in a bar or in the supermarket, you can see who's passing you by. Download our dating app now and enjoy didiseeu.com on your mobile! If you're going on holiday and fancy hooking up with other singles while you're out there, you can also check who's out there before your trip or wait until you get there and check out who's single around you. We meet new people everyday, Did I See U gives you the opportunity to connect with those people. This app has so many amazing features, it is by far the best and cheapest app for chatting and meeting new people. Every time you come close to another user in real life or have a Close Encounter, their profile shows up on your timeline. It will also show you where you had the close encounter on a map and gives you the option to connect with them. You can then add them as a friend, like them or message them. On the radar you can also check out who's single abroad. If you're planning a trip or going on holiday abroad and fancy meeting up with other singles whilst you are there, you can simply type in the country or area and the radar will present you with other singles in that area, giving you the option to arrange meeting up prior to your trip. The Radar will show you who is in your proximity allowing you to set your miles radius and choose accordingly. DID I SEE U mobile app also lets you know who's nearby. One click on Users Nearby and you can literally see who's around you right now and connect with them Instantly. Simply set your miles radius and see who's close by on a thumbnail grid of profile pictures. DID I SEE U app lets you check in and see who else has checked in around you, or even look back at who's checked in there or even months ago. If you felt you had that Instant connection. Simply click on the location or country, you can choose a public place or just type in the area, click on the date you saw them and search, its that easy! On holiday and wish you had kept in touch with someone? Like the look of someone in a bar but haven't got the confidence to speak to them? Make that connection through DID I SEE U mobile app. We now have the technology to bring you together. Free to sign up, with no monthly subscriptions or contracts.